Getting pregnant with a second child is exciting, but it also means you’re entering into new territory. You’ll be the parents of not just one child, but two! How will your first child react to a new sibling? Will it be tough for your first child to adjust to not having your full attention all the time? Every family will decide when the time is right, but at some point in the pregnancy, you can start talking with your toddler about the baby in mama’s belly. If you’re adopting, you can also start talking about the new arrival somewhat in advance. Although it may seem like your child doesn’t understand, talking about the baby will eventually sink in. You can point out other babies you see in public so that your toddler has a reference point. Another good activity is looking at your toddler’s newborn pictures. You can remind your toddler how they were a tiny baby and that soon, another little baby will join the family! Usually at some point after about 20 weeks, it’s possible for little hands to feel the movements of a baby in mama’s belly. When it becomes quite apparent, you can invite your toddler to feel mama’s belly. This can help make the pregnancy feel real for the toddler and help them form a connection with their new sibling. There are lots of things to prepare for the baby. Get your toddler involved as much as possible whether it’s helping to pick out baby clothes, getting the nursery together or putting baby’s clothes in the dresser. By getting your toddler involved, you can help your child feel invested in helping with their new sibling. Some parents even help their children prepare a “birthday party” to welcome the new sibling home. This can involve making a banner, putting up balloons, adding streamers to the baby’s nursery and making cards. The “party” can just be for your immediate family when the baby comes home from the hospital. It doesn’t need to be a big deal, it can just be something your older child can get excited about for when the baby comes home. Keep things calm by having a simple snack and allowing your toddler to introduce the baby to the home. For example, the toddler could give a tour of the house to the baby. It’s normal for toddlers and older siblings to feel a bit apprehensive about a new baby. They may even wonder if you still love them or if the new baby will replace them. So, make sure you spend special time with your older child before the new baby arrives. Counselor, Meri Wallace recommends reassuring your older child that you have enough love for both them and the baby. You might talk about what makes your child special and unique. During your special time together, you can play your child’s favorite games or take a special trip to the park or zoo. Preparing for a new sibling can be a busy time! Organize your family life by using the Picniic calendar feature. That way you can schedule in your special dates with your toddler and never forget them. Many people may bring gifts for your new baby. So, it can be nice to have a special gift prepared for your older child after the baby is born. The gift may celebrate your older child’s new role in the family as a big brother or sister. It could be a shirt, a toy or another item you know your child would enjoy. Remind your child that they will always be special and loved. After the baby is born, you can also involve your toddler in caring for the newborn. When changing the diaper, the toddler can hand you wipes or help you get a fresh pair of pants. When feeding, your toddler can be in charge of getting the burp cloth. Keeping your toddler involved will help keep them from feeling left out. It can be tough for older siblings at times. If your toddler throws a tantrum or seems angry, be supportive. Remind your child that they are so special and loved. You can also let your child know that it’s ok to feel upset or angry. Wallace recommends giving your child phrases to express themselves such as “I’m angry” or “I’m sad”. When your child uses these phrases, always respond with support such as a hug. If your child is really angry, you can suggest a pillow fight or a pillow punching session to help them get out their big feelings. The important thing is that your child feels loved and accepted, no matter how they’re feeling. Adding a new child to the family can represent a very large change in the family dynamic, but with some preparation, patience and understanding, it can be a positive one. Remember that you can expect all kinds of feelings and reactions from your older child, and they won’t all necessarily by positive. While it can be frustrating, with patience and love, your child will adjust. Are you a veteran parent who’s already been through the change? 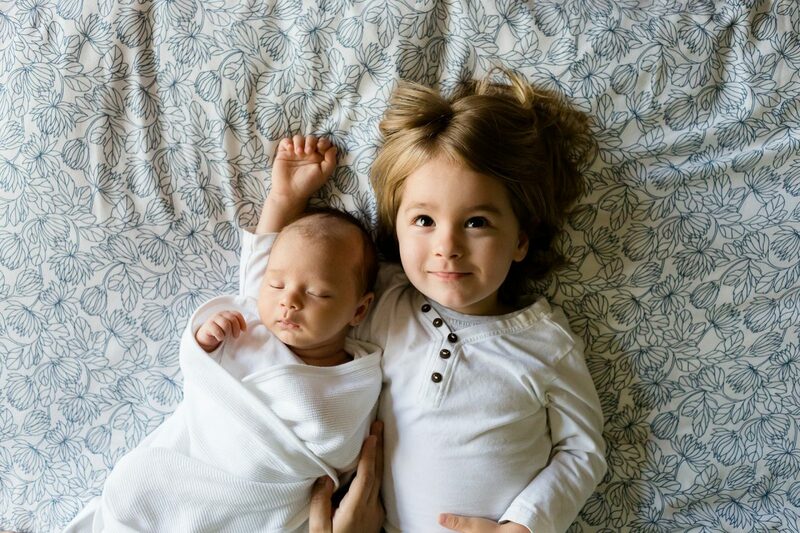 What advice do you have for helping a toddler adjust to the arrival of a new sibling? We’d love to hear from you in the comments!